As many of you know I'm a stylist and costume designer (which sometimes are the same thing, sometimes not) and often when I'm working on a film, especially a low budget film, I am often required (and happily comply in a loving, control freak kind of way) to wear many hats (metaphorical hats) and work as the lead in multiple departments. It's a lot of work, but with careful consideration and planning, it's very attainable and often my preference. So, when our producer for the film adaptation of the book Who Died The Year You Were Born, asked if I would come on board as the Art Director and Costume Designer (and actress, coincidentally - but more about that next time.) of course I jumped for joy and 'yes!' to it all. Because, um, who wouldn't say 'yes' to shopping for a job? 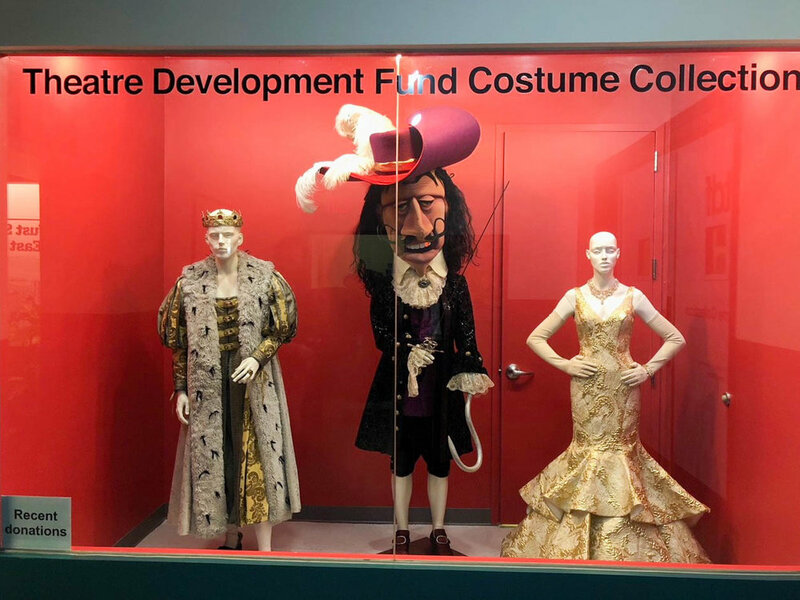 Many of the costumes in our upcoming film are 'period' costumes, so after some intense research I found The TDF's collection and was in awe-mazement. Okay, but in all seriousness, both styling and costume design can both be challenging fields of work that require serious dedication and commitment to become proficient at. "What exactly does a stylist or costume designer do?" A stylist is someone who either brings or arranges clothing, props, accessories or interiors to be particularly appealing visually for an artistic vision. Styling reaches into many different categories of media, like TV, film, theater, photography, editorials, commercials, advertising campaigns, books, live appearances, etc. In addition, there can also be many types of stylist, such as wardrobe, prop, beauty, or interior. Sometimes a stylist will specialize in one of these categories, and some stylist do them all! A costume designer with either start from scratch, conceptualizing and sketching a design, then acquiring the right fabrics and materials and sewing the garment. Sometimes, depending on complexity and budget, a costume designer will work much like a stylist and gather garments which have already been made and 'fit' your concept. 'If you're an aspiring stylist, and you have interest in working on a photo shoot, how do you go about this process?' This is a question I'm asked a lot. Here ya go! Establish Concept: if it's an editorial, you should have a story or narrative or some type. Research: if it's a fine art piece you're styling, feel free to experiment with fun props or scenery, and don't be afraid to get creative and make backdrops or props yourself! If you're planning on submitting to a magazine for publication, you will need to research current runway collections. Vogue and Elle are good starting points. Vision Board: this is not a necessary step, but I personally find it to be very helpful. After my research, I usually have bookmarked or saved historical or relative info, runway trends, or inspiring images, which I will then compile into a 'mood board'. I used to make them by hand, but that is time-consuming and expensive, so I also use Sway.com and Pinterest a lot. Establish Your Crew: You will need a crew of people to work with you on your photo shoot (usually), such as a photographer, models, and hair and makeup stylist. You can establish a network by reaching out to local professionals and testing with them. Magazine mastheads and credits are good resources for this, and so is social media and word of mouth. Model Mayhem is technically an available resource and I have used it, but be VERY wary of it, and never go somewhere alone to meet for a photo shoot. Establish Your Shoot Date: Once you have your crew, you'll need to coordinate with everyone on a shoot date that works for all of you... Good luck! Aquire Props and Wardrobe: This is where your job starts to really get exciting! Once you have your ducks in a row, you can begin to 'pull' clothing from stores or designers to feature in your editorials. This is especially true when shooting for a publication where the designer or retail obtains credit for their items. You do this by either calling or dropping into their store to explain what you're doing and make your request. Usually, when starting out as a stylist, you may need to finance your own shoots as clothiers will be reluctant to loan their merchandise to an unproven stylist. You can do this by shopping second hand, or working with local and new designers who are also trying to establish themselves. There is also the 'buy and return' method many stylist use (although I personally don't do this) where you buy clothing on a credit card, use it, then return it. For obvious reasons, this is a little shady. From my experience, retailers are happy to lend their clothing for credit or a restocking fee. (Bonus Tip: 'pull' extra looks, because not everything looks good on everyone). Make a Call Sheet: Generally, as the producer of a shoot, you'll want to put together a call sheet for your crew, which contains all the information everyone at the shoot needs to know. More info on that over here. Shoot Your Items: This is the super rewarding part! This is where the vision comes together on the day of the shoot. You'll need to be careful to ensure you take very good care of the garments that the designers and retailers have lent you. Models will be wearing them, and sometimes photo shoots call for extreme situations. In most cases, you personally, are liable for whatever you are lent. Take this part very seriously - your reputation depends on it! Return Your Borrowed Items: Perhaps this is the most important part of all. In consideration of the above step, make sure your items are returned in a timely manner, in the same, or better condition than they were borrowed. If something happens to the items (which let's face it - they do), then take the proper measures to make remedy the situation. (Bonus tip: before returning your items, if they are scheduled to be submitted for publication, you'll want to write down all the credits for the garment - who the designer is, the price and what retailer you borrowed it from). Relish in Your New Images and Submit Them: Once you get your images back from the photographer, they're ready to be submitted. Not everyone chooses to take this step, but if you're interested in having your work in magazines, Lindsay Adler has compiled an enormous database of super helpful resourcefulness on where to submit your completed editorials here. 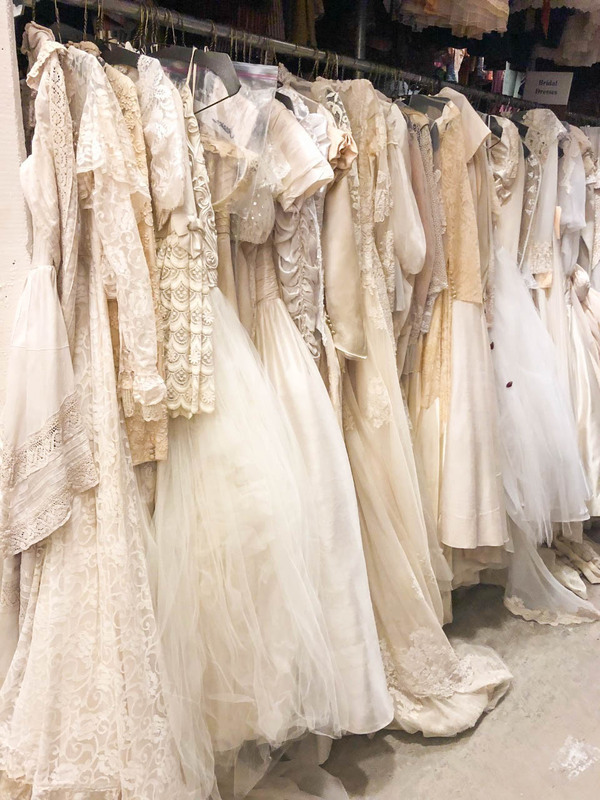 If you repeat the above steps enough time, developing a portfolio and networking with other creatives and professionals, then you may just find yourself at the TDF one day, in complete petticoat heaven. ...Or shopping for a film!